Obtaining the proper permits to authorize a large or small development and working through the maze of permitting can be daunting for businesses and private citizens. Jane Koler has over 30 years of experience obtaining land use permits including subdivision and short plat approvals, Shoreline Management permits, critical area permits including permits to develop wetlands, septic system approvals, building permits, recycling permits, solid waste handling permits, comprehensive plan amendments and rezones, conditional use permits, reasonable use permits, variances, zoning permits, grading and mining permits, as well as business and liquor licenses. Our firm assists clients in addressing the local, state and federal regulation of wetlands, and advocates for their property rights. The firm also addresses issues arising under the Forest Practices Act including assisting clients with getting permits, administrative appeals to the Pollution Control Hearings Board as well as appeals to Washington courts. We assist clients with all phases of real estate development, including obtaining permits for simple or complex developments, subdivisions, short plats and boundary line revisions. 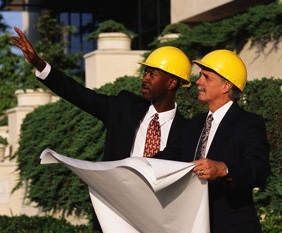 Our clients depend on us for conducting feasibility studies prior to purchasing property. The firm also drafts documents necessary for condominium formation. Our firm assists clients in addressing local, state and federal regulation of wetlands, and advocates for their property rights within that context. The firm also addresses issues arising under the Forest Practices Act including assisting clients with getting permits, administrative appeals to the Pollution Control Hearings Board, as well as appeals to Washington Courts. We address issues affecting agricultural enterprises arising under the Growth Management Act, Critical Area Ordinances, and the Right to Farm Act. Farmers also depend on us to help them with wetland and stream issues. We also represent clients obtaining permits to deposit biosolids on their agricultural properties. Our firm has extensive experience in obtaining permits to establish recycling and composting operations. The firm has substantial experience with the Shoreline Management Act. Our firm helps clients obtain Shoreline Management Act permits, and address shoreline enforcement actions and proposed shoreline regulations which intrude on property rights. Jane Koler has experience successfully litigating Shoreline Management Act (“SMA”) issues before local tribunals, the Shoreline Hearings Board, Washington State Superior Courts, and the Court of Appeals. She was able to get a SMA Washington Administrative Code promulgated by the Washington State Department of Ecology invalidated, has assisted clients with obtaining complex SMA permits, and with changing SMA classification of their properties. She has obtained favorable settlements for clients facing enforcement actions. Government enforcement actions are often handled in an arbitrary fashion, leaving businesses and property owners unsure of where to turn as they confront government demands, layers of red tape, and the threat of fines. Attorney Jane Koler has over 30 years of experience dealing with these issues and has provided skilled representation to her clients, including assisting a business in Mill Creek which the government had forced to close and demanded penalties of more than six million dollars per year. Ms. Koler got the penalties invalidated and the business reopened. These enforcement actions often are not conducted in accord with the government’s own regulations and are frequently constitutionally flawed. Jane Koler aggressively challenges these arbitrary government actions and seeks justice for her clients through settlement or litigation, taking cases all the way to the Washington Supreme Court if necessary. She has obtained judgments that include a damage and attorney fee award, helping clients to recoup their fees. The firm represents businesses and individuals in matters involving government compliance and enforcement. Government and corporate compliance issues are often handled in an arbitrary fashion by agencies and employees, leaving businesses and individuals unsure of where to turn as they face layers of red tape and the threat of fines. As property owners - both individuals and businesses - find out every day, simply owning property does not mean that they have full control over what they can do with it. Most property owners do not give issues such as property boundaries and water rights a second thought until a dispute arises that threatens their property rights and freedom to enjoy their home or business property. The firm has well-established experience with protecting the constitutional rights of clients from burdensome regulations and arbitrary actions. It also represents clients confronted with disputes about easements, boundaries, nuisance conditions, trespass, waste (illegal tree cutting), and adverse possession claims. Representing businesses and individuals, the firm focuses on negotiating durable settlements for all parties, but is prepared to litigate when necessary. Jane Koler is an aggressive advocate. The firm has expertise in assisting homeowners’ associations with developing covenants and restrictions (CC&Rs), bylaws, and agreements addressing private wells, roads, driveway, or other common facilities. We also represent homeowners’ associations in enforcement actions as well as individual homeowners defending against such enforcement activities. The firm also drafts condominium formation documents. Mediation allows individuals to avoid the high cost, extreme delays and acrimony associated with litigation. The problem with litigation is that a client loses control over how a particular problem is resolved and relinquishes such control to a judge or jury. Mediation demands the client’s approval of any settlement and allows remedies which are outside the authority of a court or jury. It gives the client an affirmative role in fashioning a solution to a dispute. The high cost and long delays associated with the trial of civil matters often make litigation a painful and impractical method of resolving disputes. Mediation offers the advantage of requiring a dispute settlement that is mutually satisfactory to both parties. Mediation works because it allows both parties to come to the settlement table with a skilled mediator, in a process wherein they can reasonably evaluate their position and safely explore settlement options.